Just as scheduling regular veterinary checkups is important, so too is being able to understand the signs of a healthy and unhealthy dog. Learning how to recognize these signs will help you keep your dog healthy and happy. Cold Nose = Healthy Dog? Maybe. 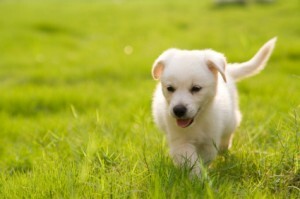 Curious by nature, your dog’s first impulse when interested in anything is to sniff around a bit. However, don’t be alarmed if your dogs’ nose is warm; a dogs’ nose will fluctuate between warm and cold throughout the day. If your dog’s nose is warm for a prolonged period of time or shows signs of cracking, you should take your dog to the vet. Likewise, if you notice your dog’s nose is always cold, this could be the sign of a cold. Just as you would expect your nose to be running if you were sick, your dog’s will too. While some dogs have eyes that tear up naturally, under normal circumstances your dog should have free and clear eyes. If you notice your dogs’ eyes consistently discharging or appear to be red or irritated, consult your veterinarian. You should think of cleaning your dogs’ ears just as you would your own. If you notice your dog is scratching their ears more, this could be an indication of an infection. Dogs with more hair in their ears may need more frequent cleaning as well. Take care to ensure your dog has healthy and clean teeth that are free of plaque and tartar build up. While you can brush your dog’s teeth just as you would your own, an easy way to help your dog have healthy teeth and gums is to give them treats that are specifically designed to help keep their teeth clean. As an added benefit, they can also help keep your dog from having “dog breath”. Most dogs aren’t going to turn down a bowl full of food when you put it in front of them; all the more reason to regulate how much food your dog eats. Dogs that are overweight have increased risk of other health problems including heart and respiratory issues. As different breeds benefit from different portions and formulas of food, you should consult your vet on the best choice for your dog. At an ideal weight, you should be clearly see their waist and be able to gently feel your dog’s ribs on the sides. 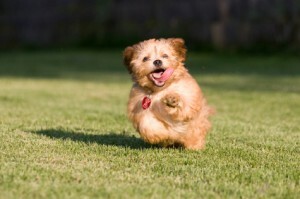 An indication of an overweight dog could be struggling during times of exercise or playing. Having four feet means there’s twice as many feet to worry about than you’re used to. While your dog’s pads are designed to be tough and resilient, they still need proper care. Routinely trimming their nails is one way to ensure their feet stay healthy. While trimming their nails, you can also check for any redness, swelling or foreign objects. Your dog may not be able to tell you what they need, but understanding these signs and indicators will ensure your dog remains happy and healthy.